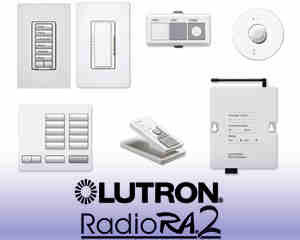 At Lighting homes we specialize in the Lutron RadioRA 2 the new RadioRA 2 Select and Caseta Pro home control systems. Each provides flawless performance using Lutrons patented "Clear Connect" RF technology which sets the bar for reliability, so you can trust your system will work with precision and accuracy every time you use it it. 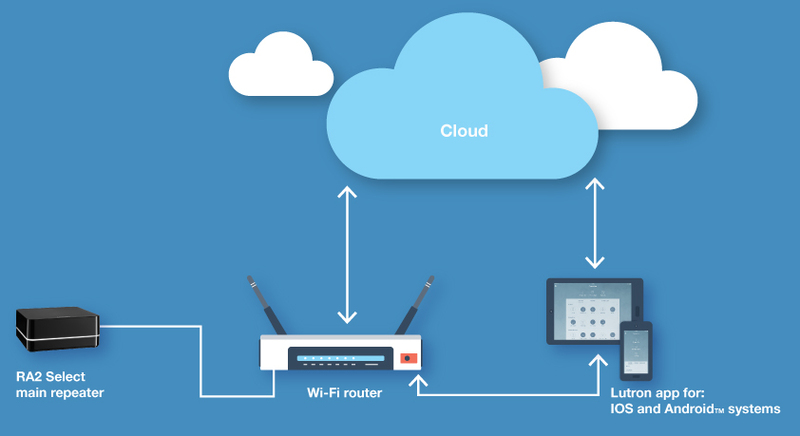 Homeowners will have total control of their living environment and be able to control their system both from within the home and remotely. Use keypads, smart phones and voice activation technology depending upon the requirement level. Everyone wants to save on their home energy costs by Going Green and at the same time be able to mange their system from smart devices. Lutron are the industry leader when it comes to lighting homes and their 3 systems have amazing reliability As technology has evolved Lutron have responded by providing customers with Home lighting Systems for both the entire house or just a single room application, these can be tied in with 3rd party manufactures smart parts, such as window shades, thermostats, sound systems and security devices, each being capable of voice activation control. 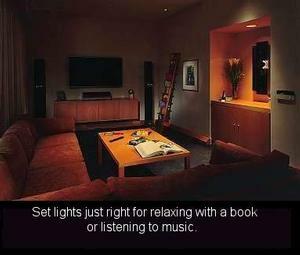 Lutron made it easy, quick and simple for homeowner installation, plus a 24/7 technical support line if you need help. RadioRA 2 Review: This is an energy saving wireless total home control system with the ability to adjust lighting, window shades and thermostats throughout the whole home. 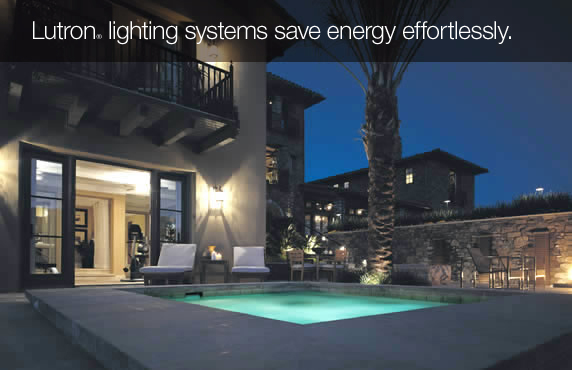 The system has a built in astronomic time clock for automated lighting events. 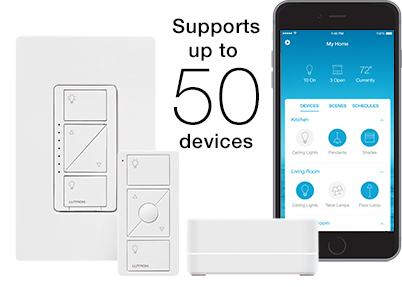 Lighting control has always been the primary function of RA 2, but as new technologies have emerged the system is now capable of integration with other 3rd party manufacturer components including voice activation for even more device control, making it the premier home system and a vital part of the Connected Home. This RA 2 Package is to get you started with your lighting control, test it out and add on later up to 100 devices. View additional RadioRA 2 home packages from 1000-4500 sq ft by clicking on the Home Systems button. This Package of RadioRA 2 components will save you money over buying them individually. RA 2 starter packs have the basic devices to get you started, they'll ship to you new with free freight from the Lutron PA factory. 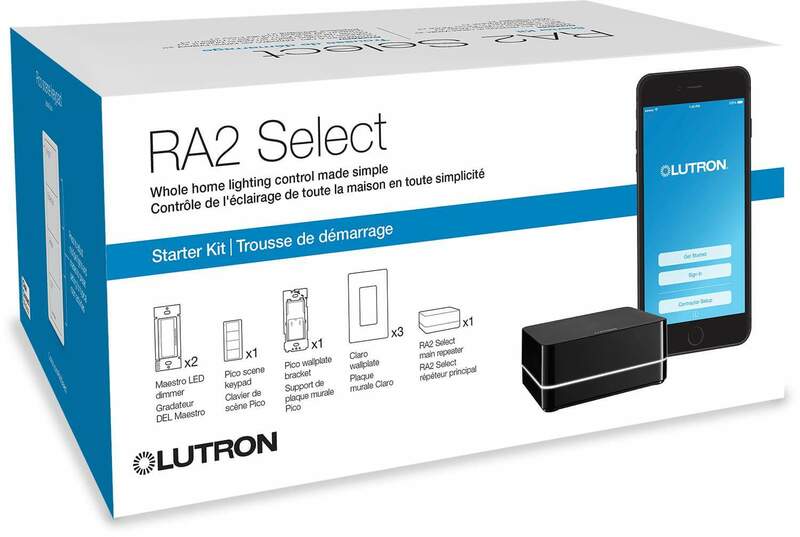 RadioRA 2 Select Review: Here is the newest offering from Lutron, the RA 2 Select System has many of the features of the traditional RadioRA 2 system but with modifications, the most important being that it is Homeowner friendly for programming. You will not require the RadioRA 2 Essential software or the services of a certified programmer. 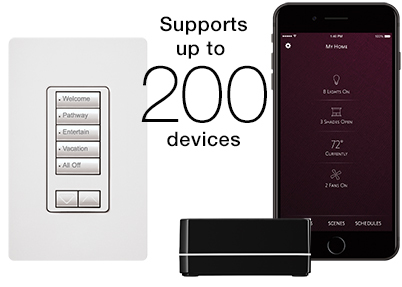 RA 2 Select is a a completely app-based installation with consumer-level control, you will just need the free Lutron app and away you go doing it yourself. 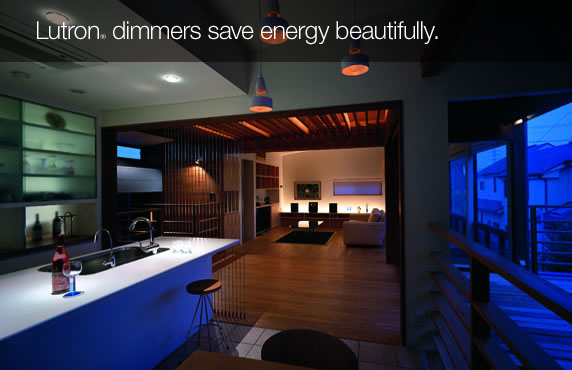 The RA 2 Select installation will use many of the existing components such as dimmers and switches. It does not use the in wall keypads but instead it uses the amazing wall or table mounted pico controllers. This Package of RA 2 Select Components will save you money over buying them individually. RA 2 starter packs will ship to you with free ground freight from our California store. Plus receive a Free Amazon echo dot with this special deal. 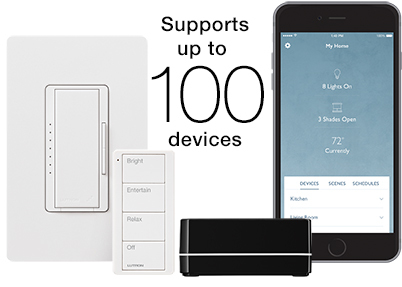 Caseta Pro Review: Lutron understands the importance of providing home control solutions to a broad audience, for a single room application or for a basic home system. 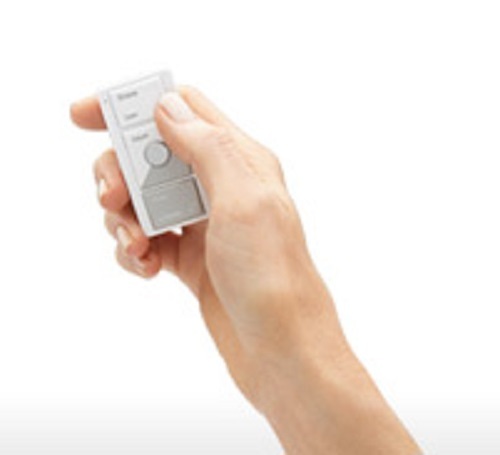 Lutron have developed a stand alone system called Caséta Pro to control, lighting, window shades and a thermostat, using their patented Clear Connect RF communication, which performs flawlessly to a standard that you would expect from the leader in dimming technology. These are the Pro version components and not the consumer grade making them ideal for smaller homes, apartments and single rooms. Here is an affordable Caseta starter Package to introduce you to smart home control, these are the professional grade components and includes a free Amazon Echo Dot, click on the video below to see how voice activation works. View additional Caseta Pro Packages by clicking on the Room Systems button on the side menu bar. This Pack of Caseta Pro Components will save you money over buying them individually. Caseta starter packs will ship to you with free ground freight from our California store. 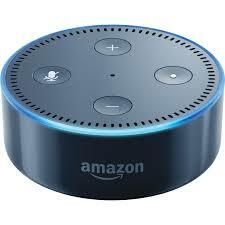 Plus receive a Free Amazon echo dot with this special deal. The pack consists of : 1 x smart bridge pro, 1 x dimmer with face plate, 1 x pico controller. Shades have a 3 year battery life. 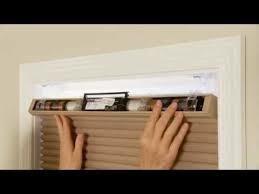 This makes installing window treatments easier and for most any window. Cellular fabrics come in varying textures, allowing the optimal level of light control and privacy. All cellular shade fabrics have a white backing that acts as a reflector for cooling. With these dual-sided fabrics, you can give each room a signature look while maintaining a uniform appearance from the outside. 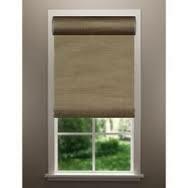 Now most any style and size window in your home can be fitted with a battery operated window shade. Buy them from us at Wholesale prices. For 18 Years I have been lighting homes with Lutron components, helping Builders, Lighting Designers, Contractors and Homeowners with their lighting control requirements. 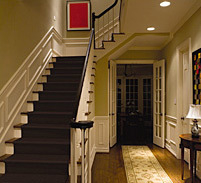 I am an authorized factory distributor and wholesaler and have the full support of Lutron and their Representatives. Please e-mail me your material list for pricing before you order elsewhere. Pricing: Lutron Internet Sales Policy does not permit the RA 2 individual prices to be shown online.